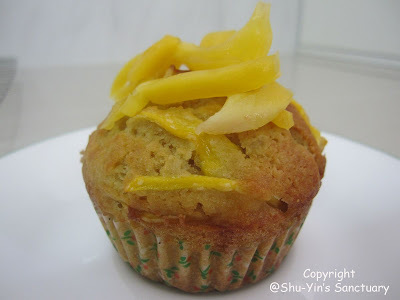 This week's Bake Of The Week is also inspired by Food & Travel Magazine March Issue. 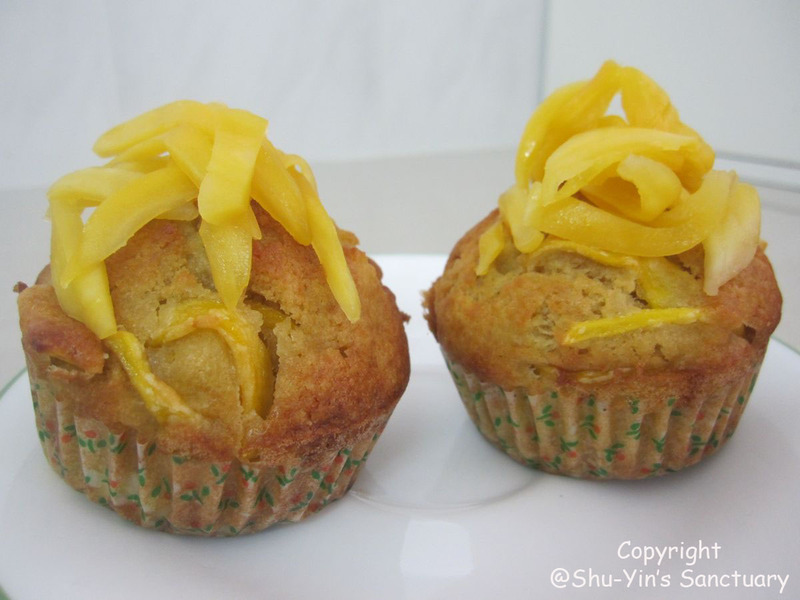 It is Jackfruit Muffins. I saw some ripe jackfruit in pasar malam yesterday. Bought a packet and made the muffins this afternoon. I modified the recipe because I don't have self-raising flour. I used all-purpose flour instead. And by adding the fresh jackfruit strips on top, they are delicious. The muffins turned out nicely browned with the tops bursting. My family loves them. It is soft and moist yet light and has an exotic tropical jackfruit flavour in it. Shern had some too. Actually it contains egg white which Shern is not supposed to have them til he is one but mum fed him a little too. Shern was practically drooling while watching us ate them. 3. In a separate bowl, beat butter with vanilla till well blended. 4. Beat eggs, one at a time, into the butter mixture until well incorporated. 5. Add milk in 2 portions, mixing til well blended. Don't worry if your mixture looks like it's curdling. The addition of flour will correct this later. 6. Fold in flour and mix until just combined. 7. Add jackfruit and fold in til well incorporated. 8. Spoon batter into baking cases and place onto a baking tray. 9. 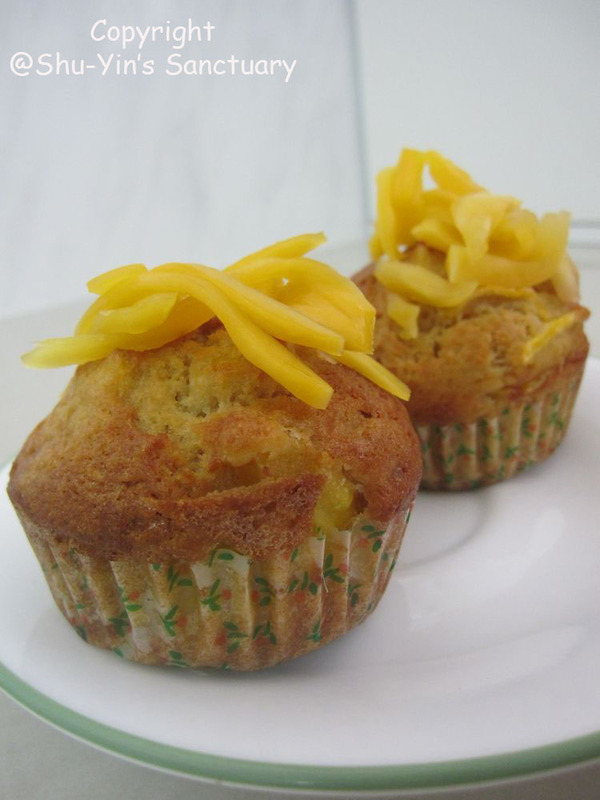 Bake for 20 minutes or until a skewer inserted to the heart of the muffin comes out clean. If only I can get my hands on some cempedak, I will substitute jackfruit with diced cempedak the next time!